Determine whether or not United Industrial Textile Products would be the right fit for your needs. 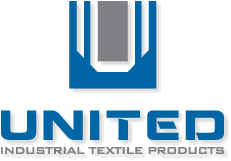 Welcome to United Industrial Textile Products, Inc.
We are a family-owned manufacturer that has been making high quality covers for commercial, military and industrial applications for over 60 years. Our dedicated craftsmen specialize in the creation of custom covers that are manufactured to each client's unique specifications. Offering sewn, RF sealed and hot air sealed products, we have the technology and know-how to be flexible in our designs. From boats, race cars and fighter jet engines to farm equipment, and roller coasters, it is rare to encounter a challenge for which we don’t have a solution. If you are unable to find exactly what you are looking for on this site, please contact us. We are confident one of our master fabricators can help you with whatever cover or textile requirements you have. United Industrial Textile Products, Inc.